Estee Lauder Verite LightLotion Cleanser: How Can It Help You? There are a number of cleansers available on the market that advertise big results. But how many of these products can deliver? Many have negative effects such as drying the skin or causing irritation. Estee Lauder Verite LightLotion Cleanser is one of these clarifying products. Does it perform as well as it claims? Estee Lauder Verite LightLotion Cleanser is a creamy, moisturizing cleanser. It is targeted for those whose skin is sensitive, or dry. It can effectively remove the oil and dirt of everyday life as well as function as a make-up remover. This product can help to keep the skin hydrated as well. Its edge on other cleansing products is that it keeps balance on the natural moisture of the skin. And although it is not advertised as such, this product does contain natural active ingredients. These are the primary moisturizing elements of Estee Lauder Verite LightLotion Cleanser, as well as the basis for its powerful antioxidant qualities. This product is so simple to use. Once or twice a day, work a little bit of Estee Lauder Verite LightLotion Cleanser into the skin with your hands. When you’re done, gently remove it using a dry cloth. There is no need to wash off the product when completed. The product recommends twice daily usage, though avoid overuse to prevent dryness. This product has many uses. It hydrates the skin, balances existing moisture, and can clean away all sorts of foreign matter on the face. Its texture is light on the skin and leaves no residue. And it is very easy to remove without washing. It can be used twice-daily for maximum effects. 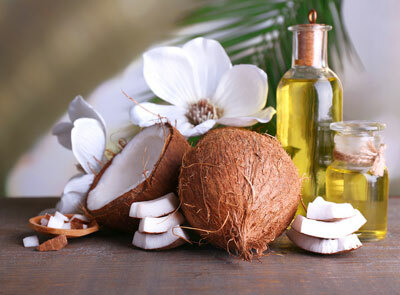 And it has many ingredients sourced from plants, meaning it is healthy for the skin. This product is much more gentle than soaps and other severe products that can upset the natural chemistry of the face. The biggest drawback of this product is that it is simply not suitable for those prone to acne. Additionally, Estee Lauder tests their products on animals and is not suitable for those who oppose animal testing. Is Estee Lauder Verite LightLotion Cleanser Worth Purchasing? This product is an excellent gentle facial cleanser. It does not irritate the skin and is effective at balancing moisture in your face. With easy instructions for use, and immediate results, you will be thrilled with Estee Lauder Verite LightLotion Cleanser when you use it. Though the price tag may seem higher than some generic cleansers, it is worth the investment for your skin’s health.